Experiments with form, composition and science. 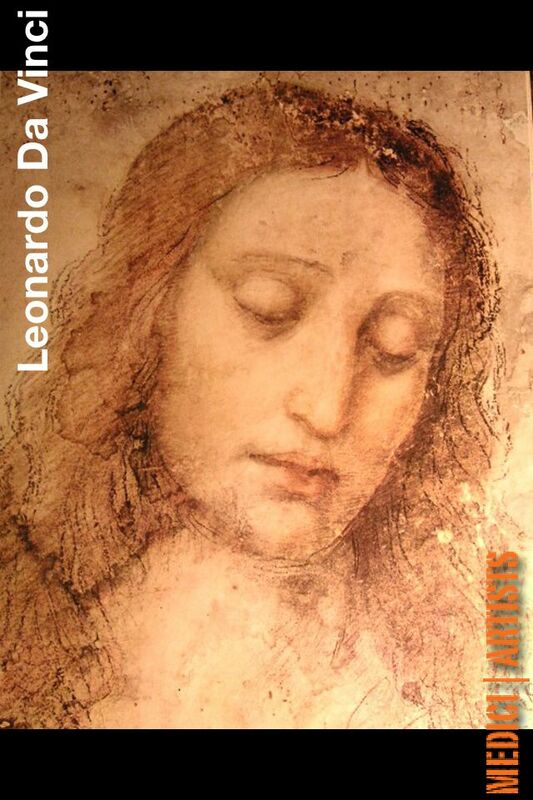 In this FULL VERSION, designed for iPhone® and iPad®, you will find over 75 Drawings by the Master Leonardo Da Vinci each in high resolution in order to let you explore fully the mastery and brilliance of the author’s sketches. 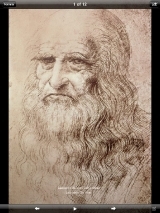 Enjoy the high quality images of the drawings, share them with your friends via email, and learn about da Vinci’s art and life. 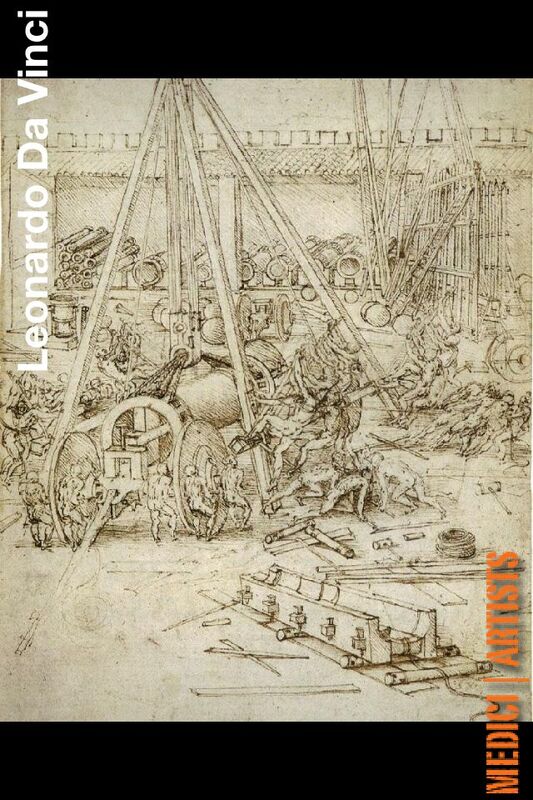 Leonardo da Vinci (1452-1519), in his drawings, carried out experiments with form and composition shared by the different fields of his artistic activities: painting, sculpture and architecture. 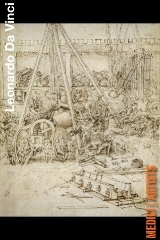 Drawing also becomes a means by which to carry out and record in his papers scientific experiments in a very wide range of fields of knowledge, a practice therefore in which the intention to depict cannot be separated from the process of knowledge and which reflects his studies, experiences, inventions and considerations, following the creative and cognitive processes of his mind. 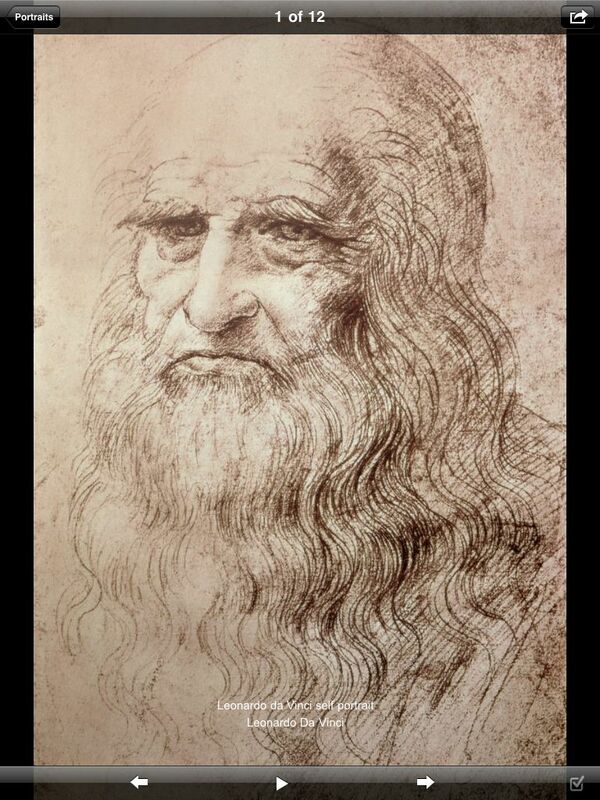 The corpus of drawings by Leonardo handed down to us in the illustrations and notebooks he kept throughout his lifetime are evidence of an extraordinary man. 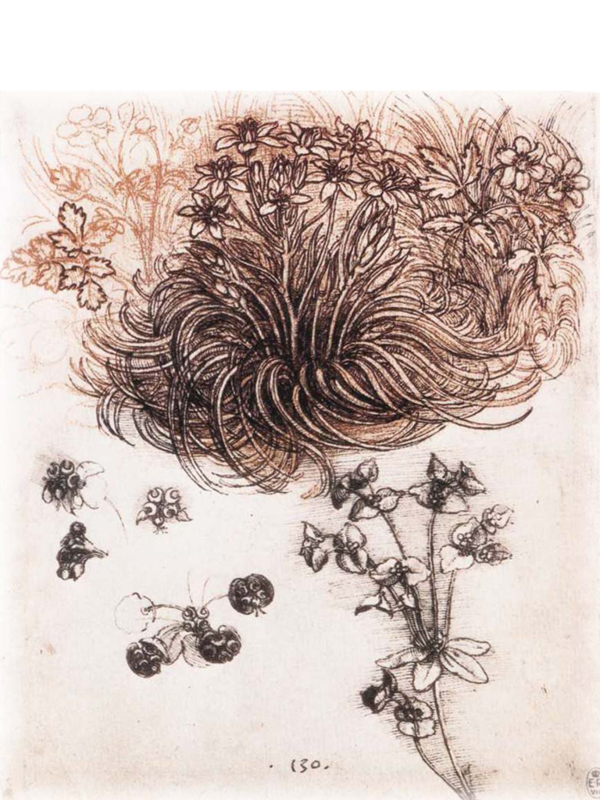 Leonardo was a tireless draughtsman: he did not complete many of his paintings and was never satisfied with his own work but the drawings and sketches we have are considerable in number. 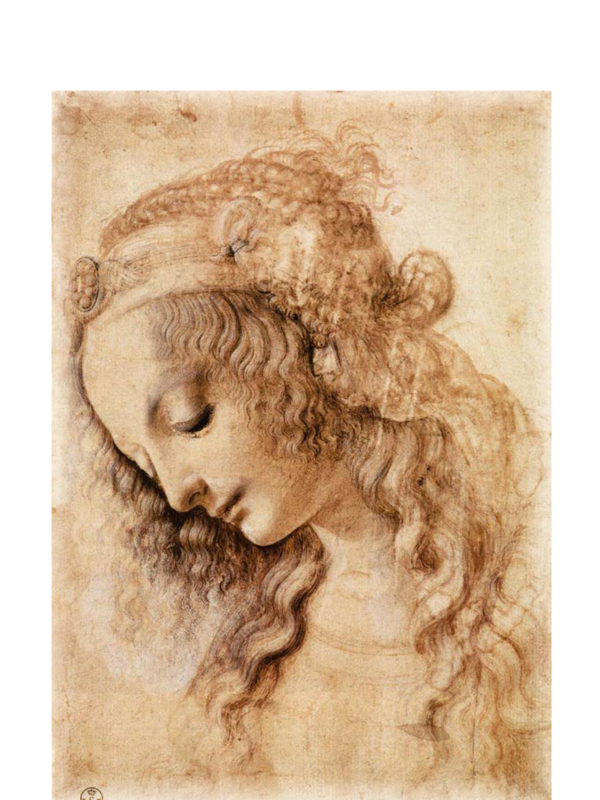 The quality of Leonardo’s pencil drawing is impeccable and he is easily able to faithfully reproduce reality in all its detail and, since drawing is the most direct expression of physical and mental movement, Leonardo’s figures have unprecedented vitality and vivacity. 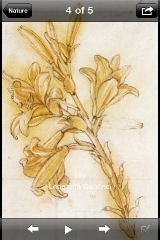 He uses a technique that gives a sense of colour and depth even when using monochrome mediums like sanguine or ink. 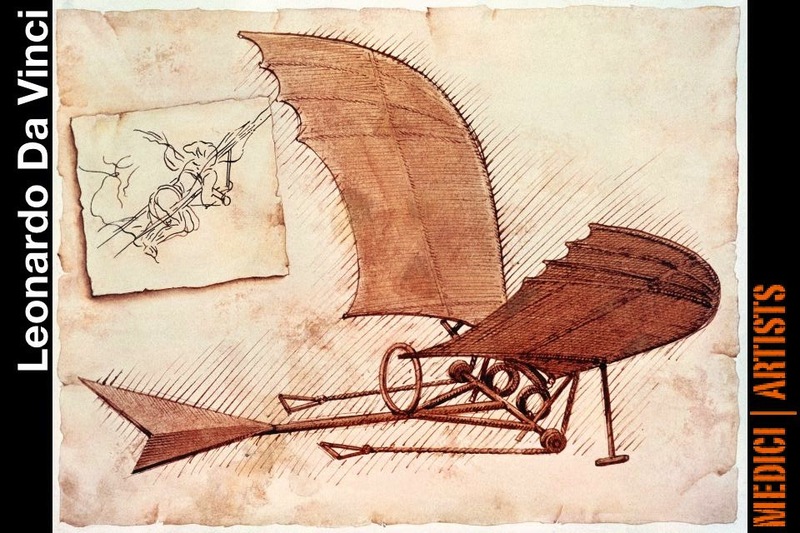 Admiro muito este grande cientista que foi Leonardo da Vinci, seu legado está presente em muitas coisas do nosso cotidiano, até mesmo naquilo que não percebemos, exemplos disso anatomia humana, transportes (Helicopetero, avião, barcaças), foi uma mente muito a frente do seu tempo e graças a sua persistência e dedicação temos hoje uma vida muito melhor. 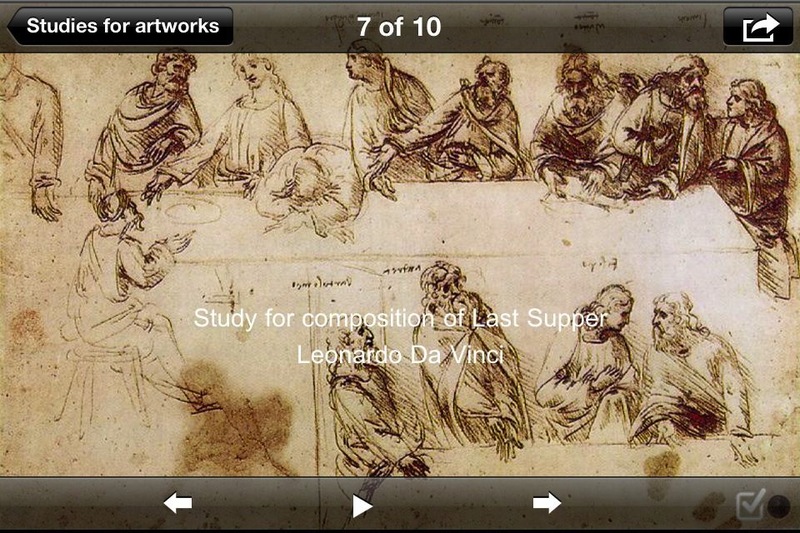 The app provides one with a unique glimpse into the incredible mind of DaVinci, a renowned artist of all time. 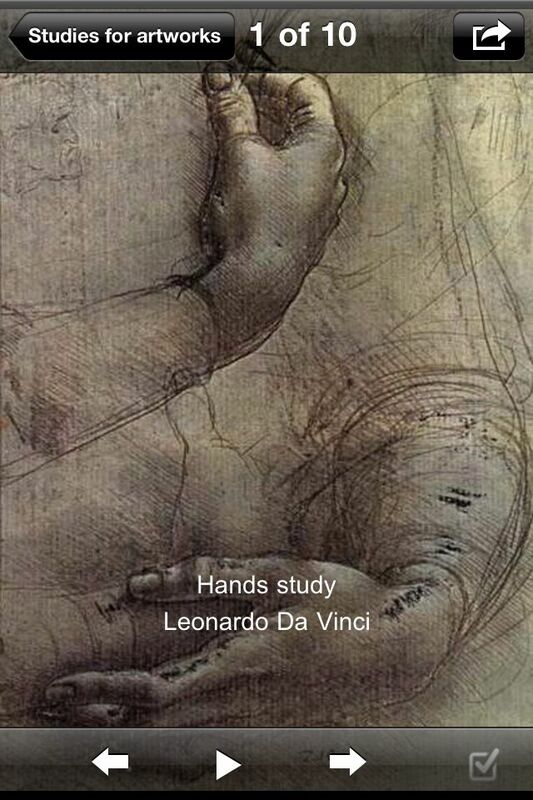 The app contains high resolution images for both Iphone and Ipad, covering artwork studies, anatomy studies, and flying machines. 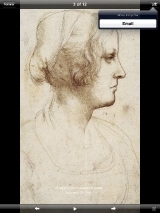 My favorite part of the app is that though you have access to his popular works, the app also looks deeper into his technique, looking at rough sketches that are equally detailed and precise. A gift for any Da Vinci fan, without a doubt! 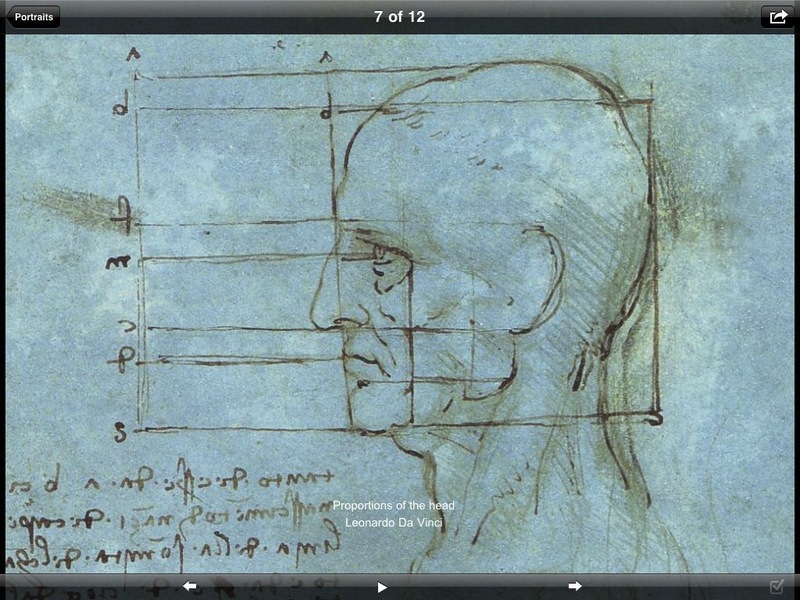 Through this app you can gain an understanding of da Vinci’s expansive and amazing range of skills, ranging from from anatomical studies to designing architecture, contraptions and technical blueprints. 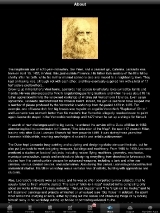 75 images, all in high resolution for your viewing pleasure through which you can examine every intricate detail. 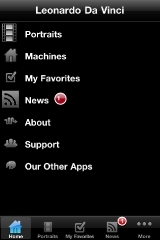 A great download for your Ipad/Iphone! 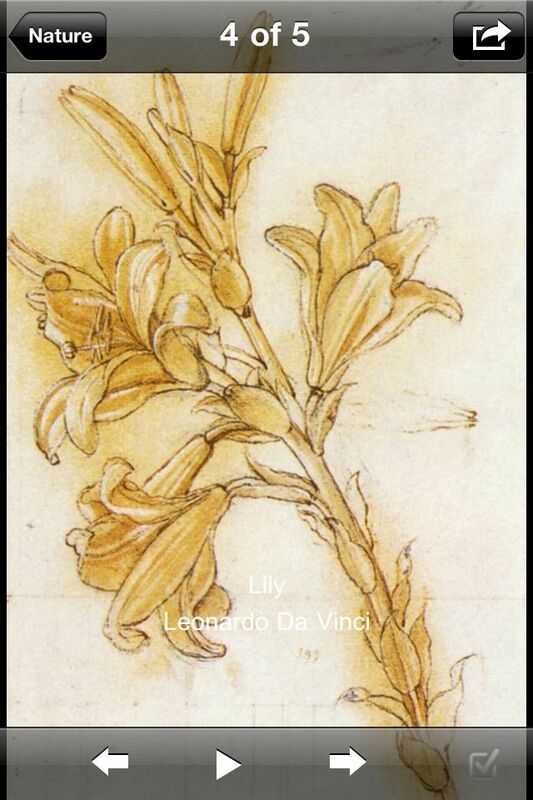 75 images , all high resolution for Iphone/Ipad, covering an expansive range of works for any da Vinci fan! 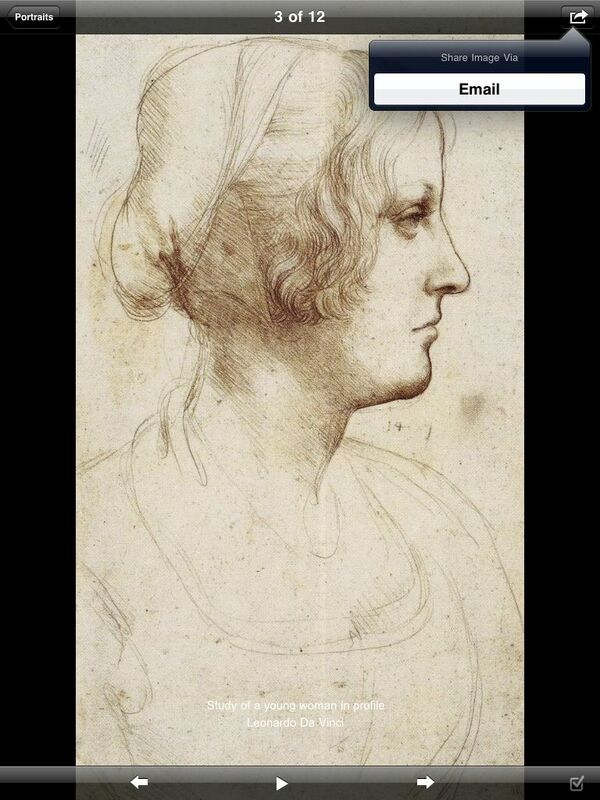 A virtual and convenient guide that provides inspiration for any art lover. $0.99 is nothing for the amount of access you have! 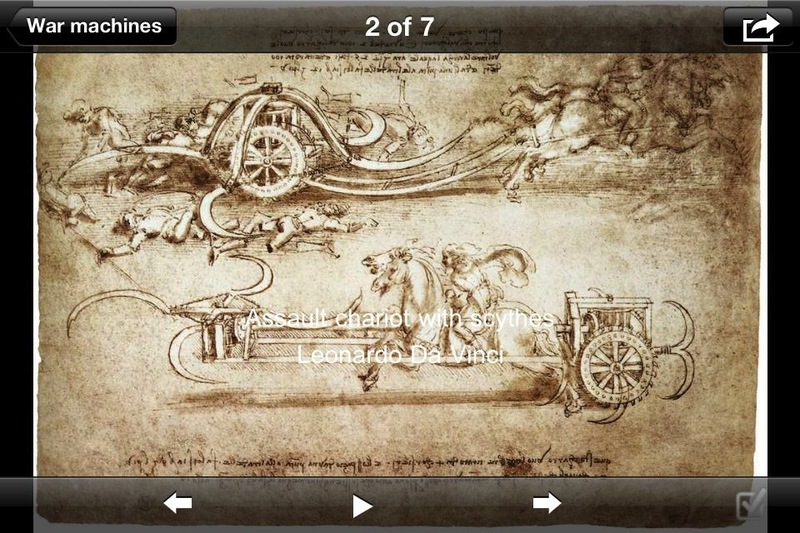 The app is made for any da Vinci fan or any art student/lover. 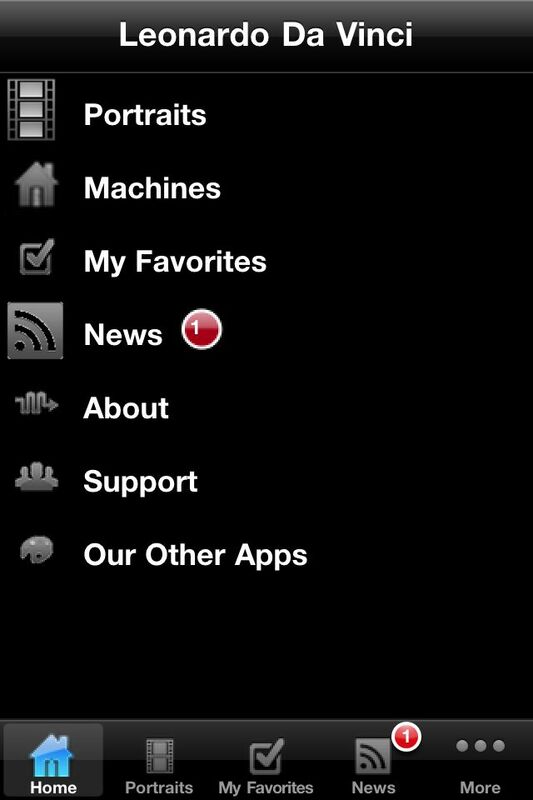 The fact that it is virtual, convenient access to high resolution images on your Iphone/Ipad is a huge plus. 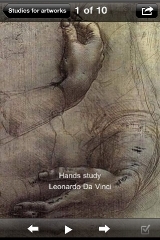 Perfect for studies, research, presentations, teaching as it can be a great deal of help in understanding human anatomy, perspective and technical drawings. A mini portfolio of da Vinci, indeed!